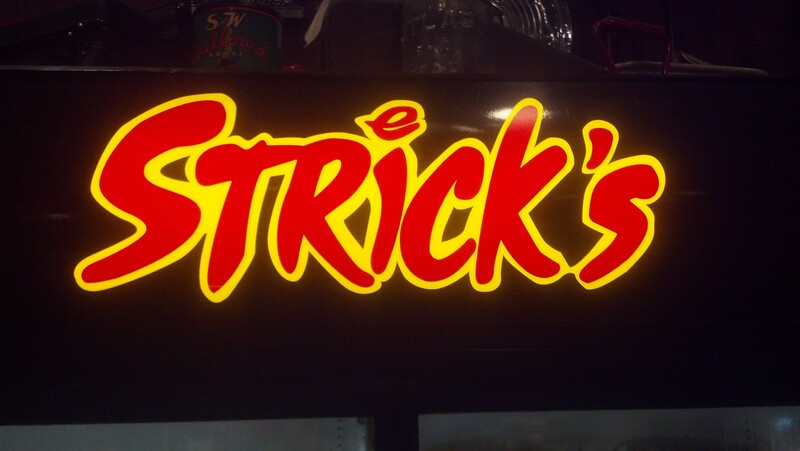 I was in Hattiesburg today and went to Strick’s BBQ for lunch. It is right near to University of Southern Mississippi where we had gone to see the de Grummond Children’s Literature Collection at the Cook Library. 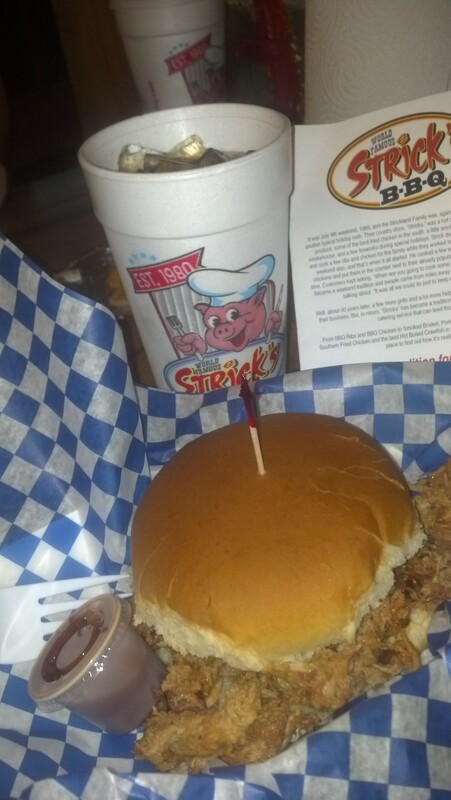 I had the pulled pork sandwich – it was overfilled with terrific pig meat and came with a small thing of sauce that the meat didn’t need. Trust me, you’ll need two hands to bring this sandwich to your mouth it was that big. 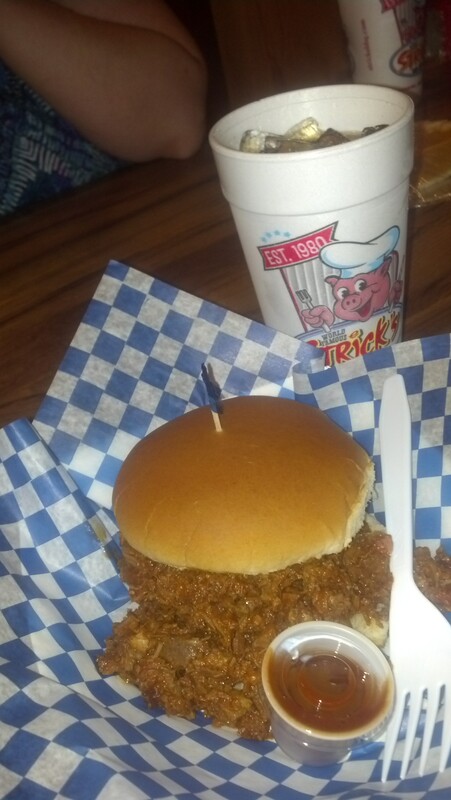 Michelle had the BBQ Beef Sandwich and it did need the sauce they gave her as the meat could use the additional flavor. This one was also over filled with meat that we ended up eating it with a fork once we were done with what was in the bun. 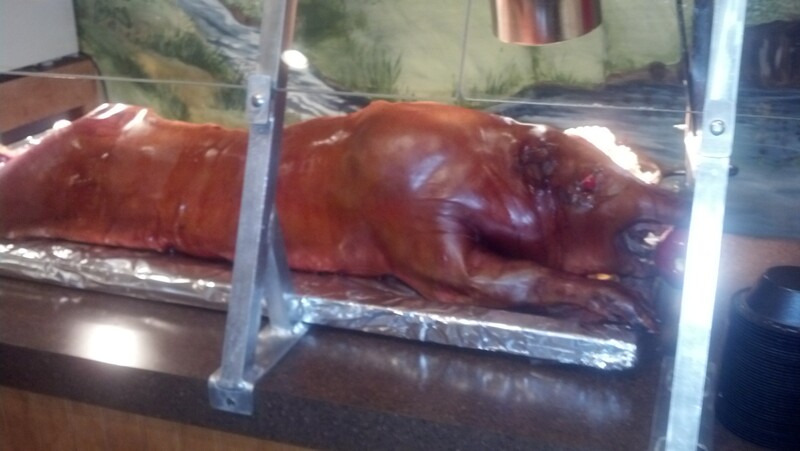 On Friday’s they do a $12 buffet with a whole pig that they leave over a fire for 17 hours. 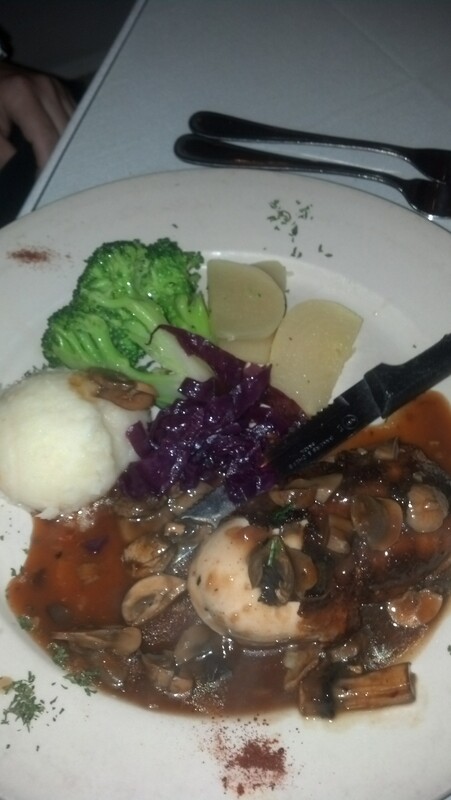 It looked delicious but, with a dinner already planned, I wasn’t sure we’d get our money’s worth. Not a bad BBQ joint at all! Very friendly people on staff. 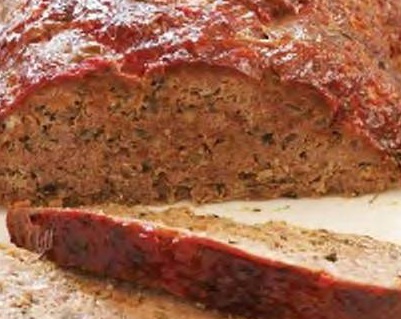 Sometimes you just crave meat and there is nothing better than the comfort of meat loaf. I also like that I’m usually able to make it with the contents of my pantry and freezer – no special ingredients required! Break bread into small pieces and soften with milk. Let sit for a few moments while you cook the veggies. Saute onions and peppers until they are just softened in a cast iron skillet and have released their juices. Add in about a 1/3 of a can of tomato sauce and stir to heat through. Remove from heat and let cool slightly. With your hands mix together peppers, onions and tomato, softened bread and eggs with the meat. Add salt and pepper and Worcestershire and mix until well combined. Form into a loaf in the wiped down cast iron skillet. Bake at 350 degrees F for 30 minutes. Remove and pour off fat. Cover with glaze (recipe follows) and bake for 45 minutes more. Remove from pan to rest for 5 minutes before serving. Whisk all ingredients in saucepan until sugar dissolves. Simmer over medium heat until slightly thickened, about 5 minutes. Cover and keep warm. 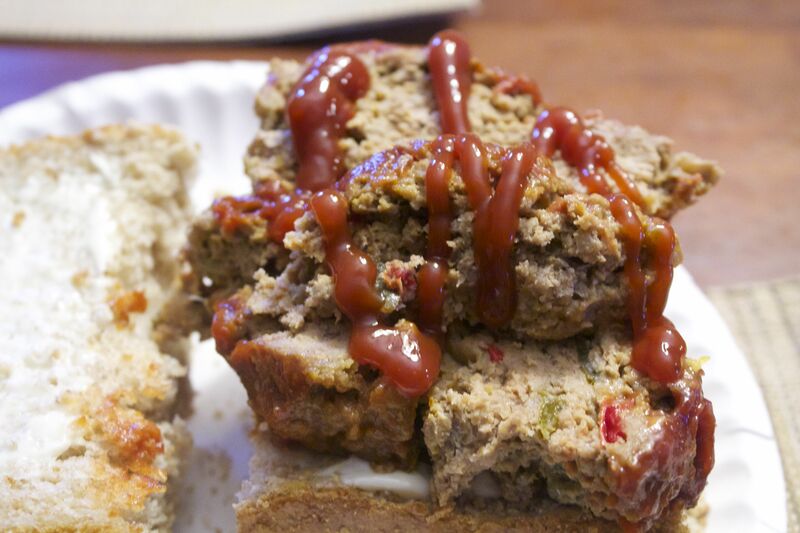 Don’t forget meatloaf sandwiches make great leftovers, too! 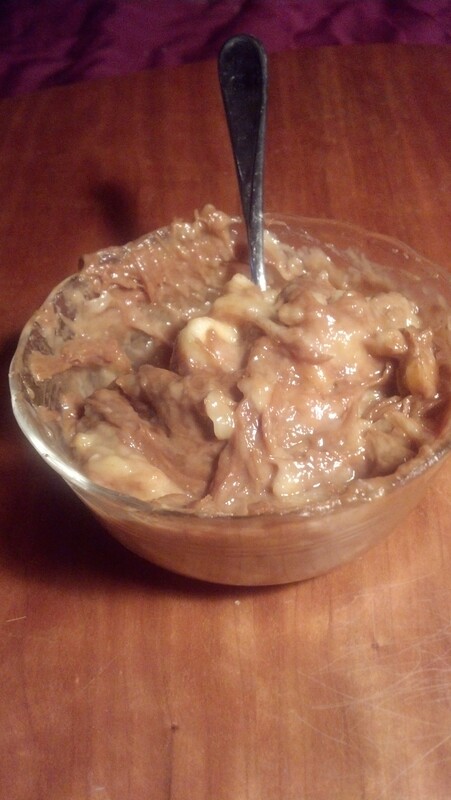 Sometimes, however, I will mash it up with slightly over ripe bananas for a late night snack. To make the frosting, beat together the butter and the cookie butter; gradually add the confectioners’ sugar and mix at low speed until combined. To achieve the desired consistency, gradually add milk to thin frosting. Or, if the consistency is too thin, gradually add small amounts confectioners’ sugar to thicken. Spread frosting onto cooled cupcakes as desired. 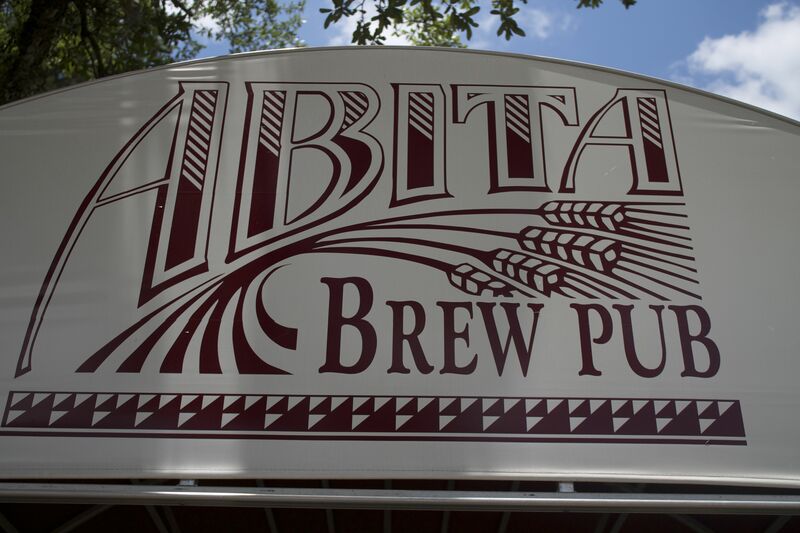 I was up in Abita Springs so I stopped for lunch at the Abita Brew Pub. This is where Abita used to brew their mighty tasty beers until 1994 when they moved into a new location. The Pub offers a full menu plus a whole lot of their brews on tap. I tried the Strawberry Harvest. 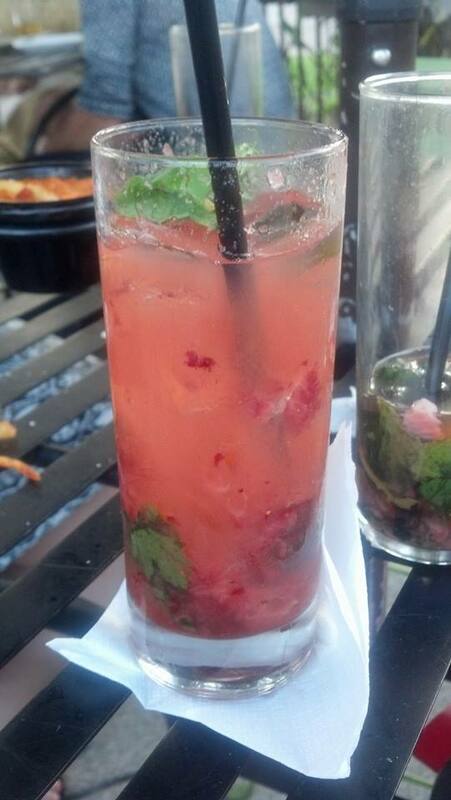 Just a hint of the fruit made it light and refreshing. 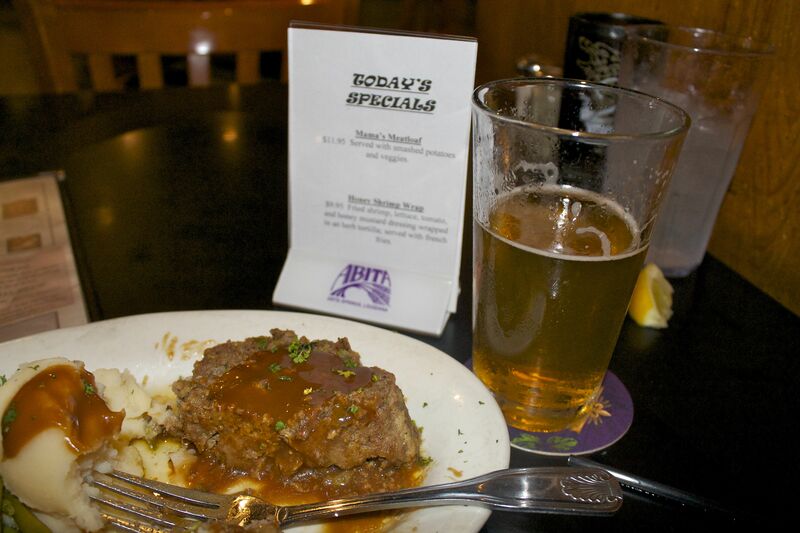 To eat, I got their meatloaf special – I didn’t eat the green beans but the meat was well seasoned with a nice gravy over it and the mashed potatoes. Quite good. Service was fast and friendly – nearly every waitperson smiled and checked in as they walked by, making sure my water was refilled regularly. I had a pretty depressing day up at the state legislature (see Religious Freedom to Discriminate) and decided that I needed a night out with friends and good booze. The Delachaise Wine and Food Bar on St Charles Avenue has an extensive wine list and a full bar for nearly every other kind of drink you may want. Lovely color and marvelous taste. Went really well with their goose fat fried French fries. The place gets busy early but the bartenders are highly skilled. Open a tab and grab a table and it is yours all night – no pressure to keep buying or leave. 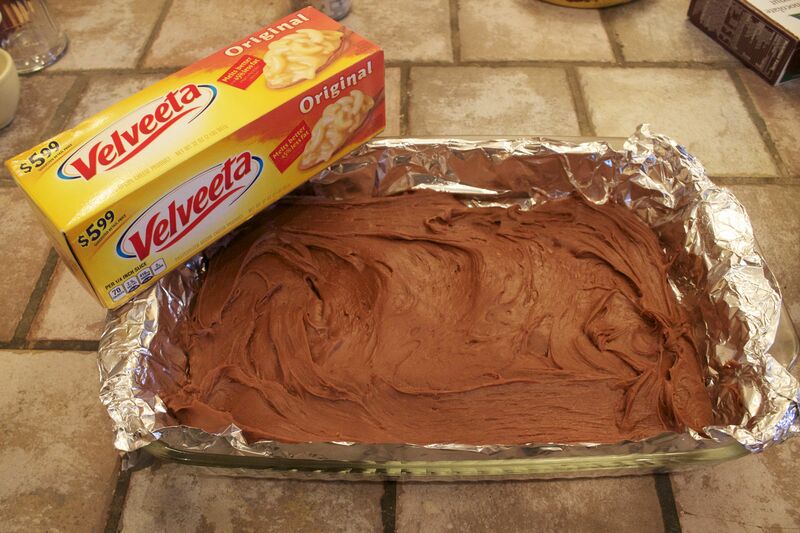 I’ll be heading to a party tonight and I’ll be bringing my version of cheese fudge. Because I make it with Velveeta cheese, I call them Tailer Truffles. This is a pretty quick recipe for some very smooth and delicious fudge. Cut the Velveeta and butter into cubes and melt in a double boiler. Sift together the cocoa powder and powdered sugar. Once the butter and Velveeta are melted, stir in vanilla and nuts. Pour fudge mixture into the cocoa and sugar. Stir thoroughly (a hand mixer can help here). Once completely mixed, pour fudge into a pan covered in aluminum foil. Let fudge set in the refrigerator before cutting. 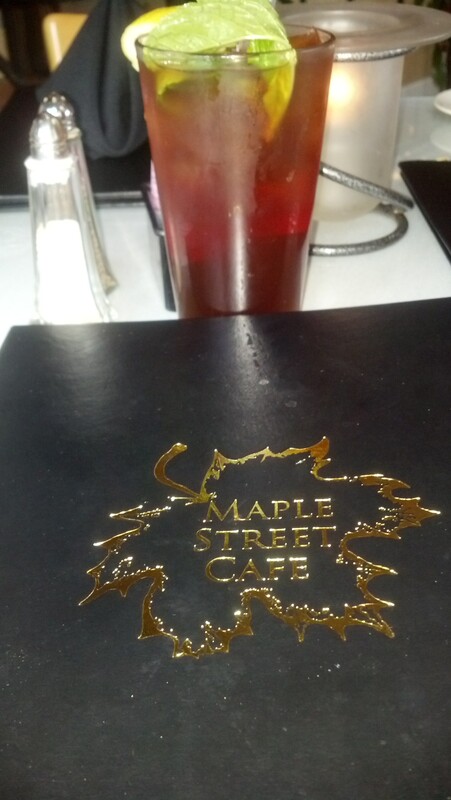 I went out with friends to Maple Street Cafe on Thursday. It is a step above casual dining with a large selection of Italian inspired dishes. 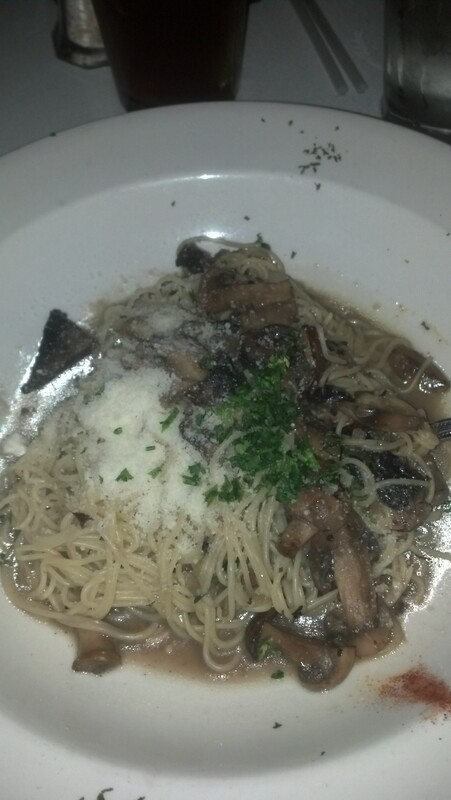 I went with the Angel Hair Pasta with three wild mushrooms. Very tasty with the garlic and red pepper adding a nice spice. Michelle had the Chicken Robah. The chicken was a little plain but the stuffing items and the marsala wine reduction were very good. 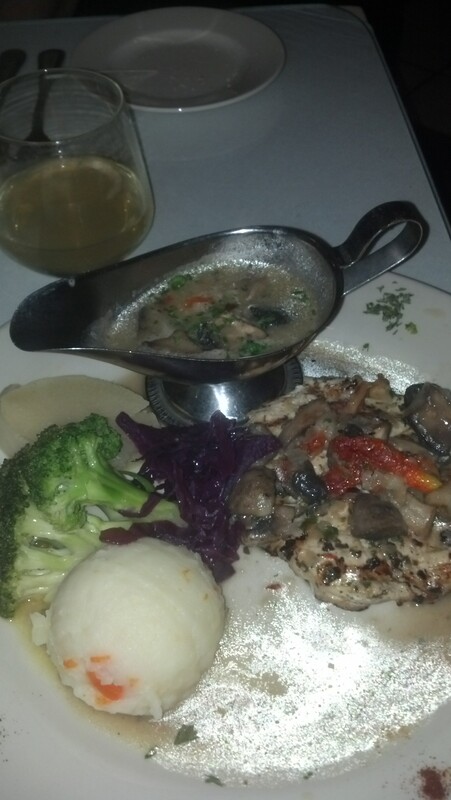 Charlotte’s Chicken Sareen had a very nice sauce that went well with the grilled chicken. 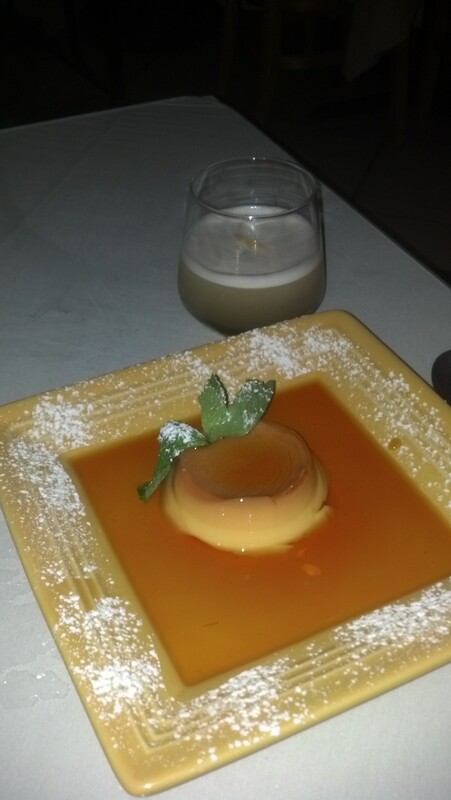 Charlotte and Thomas shared a flan for dessert and quite enjoyed it. There was only one server and he was run a bit ragged. However, we took the time between his check ins to enjoy our conversation. They do need to update their online menu as the prices were at least $2 and sometimes different from what was on the menu in the restaurant. Good food, great location – that Maple Street area has lots of cool shops. While we might not go back to the Maple Street Cafe, we will be back in the area.